Risk is a topic of pervasive and growing concern in supply and sourcing management. Procurement itself is no longer just about acquiring products and services for the best price and controlling expenses. Instead, purchasing and supply professionals are under tremendous pressure to drive out costs and ensure that procurement strategy is in line with wider business objectives, including how personally identifiable information is handled. That scrutiny means that the procurement function is often the external face of an organization, especially today’s competitive enterprise, acting as an early-detection system for spotting anything that might represent a financial legal, or reputational risk. As a result, they are not only tasked with, but also relied upon, to give executives the analytics and guidance they need to make better business decisions. It means also that they are a crucial player in understanding and revealing legal and regulatory exposure, while providing stakeholders with useful intelligence for achieving broader strategic goals. The fact is, access to more and better information changes how we think about and act upon that reconnaissance. While a procurement team’s performance, alongside their suppliers, can have a major impact on the revenue and profitability of any business, effective procurement and with it, better risk management, requires the right technology. The enterprise can positively change how it manages exposure throughout the procurement lifecycle based on contract analysis, and by managing and optimizing the supply base through the aggregation of suppliers and their contracts into a single system, 360-degree view into supplier information, capabilities, risk and performance can be created. Generally, when we think about risk management in the enterprise, the accepted school of thought would be how to control it. But what if we instead looked to properly identify risk as a tactic for finding more revenue? The most powerful thing is to see how risk translates into lost revenue, or perhaps more importantly, new-found revenue opportunities. There is a lot of talk about the seismic changes that AI will bring, and the prospects for self-driving cars, home robots, and all manner of time and labor-saving applications are truly staggering. However, it is the more prosaic application of AI through text analytics (enabled by the marriage of machine learning and natural language processing) that is driving the most successful applications of AI in business right now. 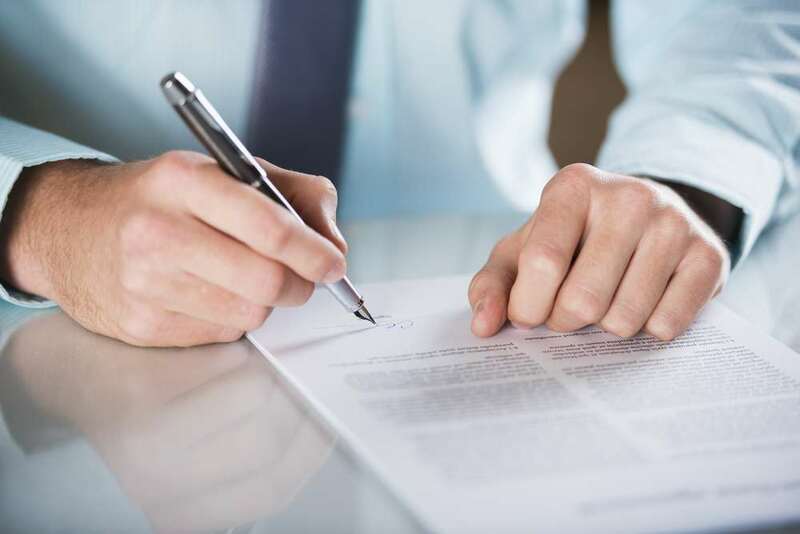 Contract management and analysis has emerged as, perhaps, the most important shift in the work undertaken by commercial and procurement teams in a modern business. Historically, manual contract review took months or even years to complete, if it was done at all. The new demands placed on procurement and supply management teams requires that they look to technology to automate the process. Contract analytics, which is most effectively being driven by the application of machine learning-based decision-science and AI, has become central to efficient contract servicing and risk management. In short, data sophistication is now essential to competitive excellence, but more importantly should be central to how risk is identified as a strategy towards profitability. Imagine a heat map of your organization that points out where different liabilities exist and indicates the risk level of each of these liabilities. This is analogous to the application of advanced analytics to contracts within the enterprise, where the identification of non-standard language or clauses, and how far they deviate from the standard, are a primary objective. This requires far more than a static database with reporting capabilities–it demands accurate, dynamic, real-time intelligence that can only be derived from AI-driven methodologies. A clear view of your contracts will not only provide you with the analytics and guidance needed to make better business decisions, but also better manage management. Contract analytics and discovery systems can uncover hidden opportunities to rationalize suppliers, negotiate better deals, and take advantage of incentives. Every organization has their own appetite for risk. Assessing a company’s risk profile is the first step toward applying right-fit contract analytics that give a view of contracts at scale and provide a ‘heat map’ of potential risk exposure. Without this assessment, it is hard to take a holistic view of the entire contract corpus, and with it a comprehensive understanding of, for example, service-level agreements and uptimes, non-standard conditions and terms, and whether or not liabilities are covered by insurance. Considering that IACCM figures indicate that businesses typically waste between 4 percent and 9 percent of total spend, the result of applying contract analysis to the procurement and supply management process is sobering. A company with an annual spend of $1 billion, based on the lower end of IACCM’s estimates, is losing $40 million. Should the procurement team successfully identify half of that loss, and just 50 percent of that figure is actually recoverable, it translates into a potential savings of $10 million. In particular, contract analysis has been used by the enterprise in a powerful way for non-standard clause detection. Non-standard contracts constrain organizations under the best of circumstances. Vague or complex contract language, on which an organization can base many key business decisions, is a central factor in choosing between alternative courses of action. This ‘what if’ evaluation of risk, is always viewed by supply and procurement professionals as an aspect of business operations that must be properly managed within a tolerable range. This contribution to the resilience of the overall procurement process also ensures smooth and more predictable financial performance. On the M&A side, for instance, the challenges and opportunities can be enormous. When an enterprise subsumes a smaller player, it may sample and review a set of contracts during the due diligence phase to assess obligations and risk exposure. Manual reviews or analysis using insufficient technologies, such as archaic contract lifecycle management systems that were never meant for this task, typically sample just a fraction of the overall contract portfolio–and thereby just a fraction of the overall risk–the organization could inherit through the deal. Real and powerful insight can only be extrapolated from data at scale. But still, the point is not simply to mechanically extract as much data as possible from the contract corpus, but to apply it in the context of the business so that heat maps of risk are tailored to the risk assessment itself. Better risk management of buy-side and sell-side contracts, and other legal agreements such as NDAs and leases, requires that the analysis tools are able to learn an organization’s specific languages and clauses, and can be trained to search for specific elements, regulatory issues, and, yes, even non-standard clauses. This can only be achieved through machine learning techniques in AI. When that risk consumes mission-critical resources, the cost is even higher yet too many organizations remain unaware of the value that contract analysis can bring to the procurement process. That’s why risk management must be well-understood by procurement teams, in particular, including a clear view of the technologies that can be implemented with minimum cost and high impact. With the application of AI to contract analysis, exposure to risk can be minimized and the impact of a potentially catastrophic event can often be avoided altogether. It can be said that risk assessment by supply and sourcing management professionals requires that they first recognize and understand not the actual exposure itself, but the methods that can be used to avoid problems. Systematically anticipating what might occur in the future and thwarting fires before they start is possible when the approach to risk management makes contract analytics, drawing on artificial intelligence, a part of everyday business and as integral to procurement as any other process. Christina leads the technical and legal solution consultant organization, globally, at Seal Software. As VP of Solution Consulting, she focuses on ensuring that her team provides prospective clients robust solutions to meet their complex contract discovery and analytics needs. Prior to joining Seal, Christina was the Practice Executive, Contract Management at IBM. She was responsible for Contract Management Strategy & Best Practices. 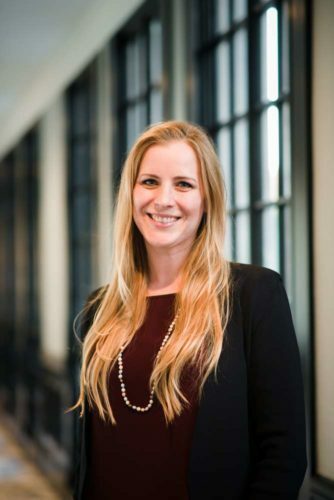 She worked closely with Fortune 500 companies to replace high-risk, manually-intensive contract management processes with proven, scalable technology that delivers complete risk oversight and obligation management to legal organizations, while streamlining the end-to-end process, thereby increasing revenue and reducing costs. Christina also worked with alliance partners to create innovative solutions that provide a robust legal technology offering.